Sign-up today and keep up with the latest news on WavePool Mag. Your information will be private and not shared with any third parties. The WSL just purchased Doug Coors’ pride and joy, the NLand Surf Park in Austin Texas. The sale follows an inverted purchase pyramid of sorts, with WSL at the top, absorbing the property through Tumbleweed Opco, a Delaware-registered LLC. In the middle is the Kelly Slater Wave Co who operates Tumbleweed. According to an article by ATX Real Estate, Delaware corporation records show that Tumbleweed Opco LLC was formed Dec. 11, just 12 days prior to the sale of NLand which occurred on Dec. 23. The sale hands over more than 160 acres of land including the famous Wavegarden Lagoon technology (currently still in use at Snowdonia Adventure Parc) and all auxiliary buildings. Those other buildings include a brewpub, restaurant and retail space. No price was given on what the WSL, (Tumbleweed Opco and KSWC) paid for NLand. But local government tax assessors appraised the land and buildings at just under $5million in 2018. At this time there is no word from the WSL on what their intentions are for the wave pool. 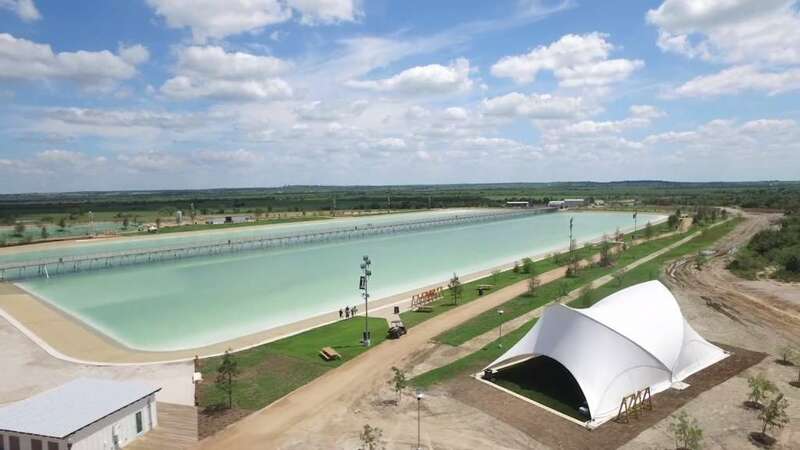 The WSL could do a number of things with the facility, including upgrading the OG Wavegarden Lagoon tech (like at Snowdonia) to Wavegarden Cove technology capable of pumping out 1000 waves per hour. But most are speculating that they will kit out the lagoon with KSWC technology, producing a sister wave to Lemoore. The WSL is aggressively building KSWC facilities globally. One source told us the WSL rushed a project in Japan in hopes of hosting Olympic surfing in a wave pool for the 2020 Tokyo games. According to the source, key Olympic stakeholders told the WSL that a location shift from the ocean to a wave system is too big a change to contemplate less than two years before the Olympic Games. The Surf Ranch in California lit up the inter-web about a year before NLand debuted. The abandoned wakeboarding park was renamed WSL Surf Ranch when the League purchased majority stakes in Kelly Slater Wave Company. Outside of the usual caustic surf media comment threads, we’ve discovered that the Austin community loves NLand just the way it is. NLand attendee Cheryl Smith said she’s stoked that a surf-related company purchased the property. However, if a full-bore advanced wave pool like Kelly’s is installed, a good chunk of the surf set will be left out, as KSWC tech in its current form doesn’t offer beginner waves. But that may change. NLand Surf Park opened in October 2016 in Austin, the American city home to a thriving tech and music scene. 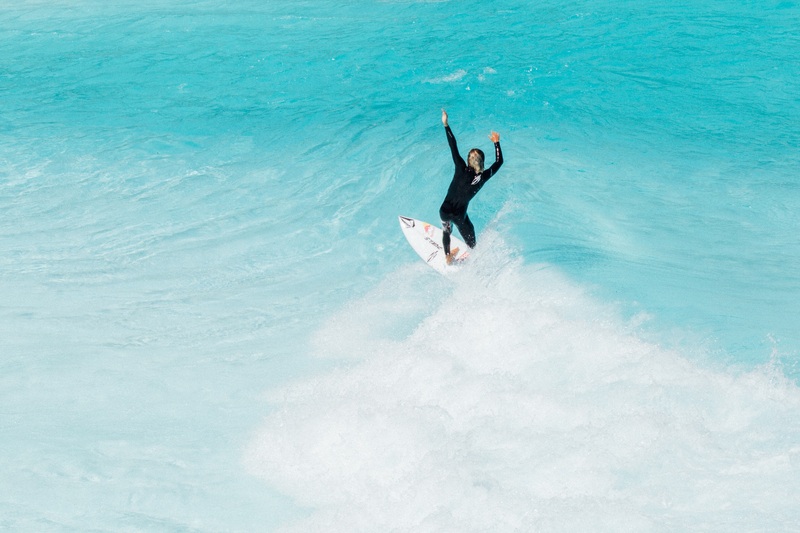 Doug Coors and company entertained a variety of wave-generating technologies before deciding on Wavegarden’s Lagoon wave pool. NLand overcame several obstacles inherent in being the first wave pool in America. They boxed with county officials who wanted to strap the 14-acre lagoon with the same regulations as a public swimming pool. Construction also hit a snag when a tear in the liner flooded nearby neighbors, many of whom weren’t happy to see a wave pool in their neighborhood. NLand found mixed reaction when opening. Many surfers loved the wave but felt it wasn’t challenging enough. Others, mostly newbies, espoused what a fun set up the whole enterprise is, solidifying the park’s reputation as a family-friendly surf destination. NLand closed for the winter in November of 2018. When it will reopen and with what wave pool technology, is still a mystery. We’ll keep you posted. ©2019 WAVEPOOLMAG. All rights reserved.